Did you know that Lake Zurich is so clean that its water has been certified by the local government as safe to drink? 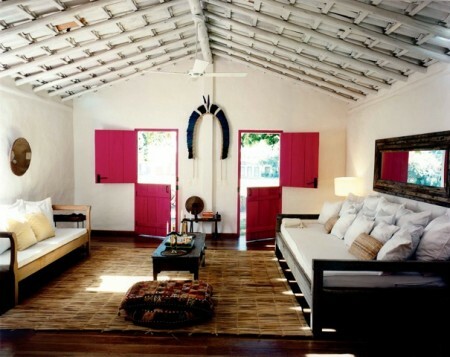 Wilbert Das, former Creative Director of fashion label Diesel, opened his eco-chic retreat, UXUA Casa Hotel & Spa, in the remote fishing village of Trancoso on Brazil’s Bahian coast. Founded by Jesuits in the 16th century, Trancoso has the air of standing still in time, preserving over centuries its stunningly simple architecture, unspoiled nature, and rich local traditions. The hotel was built by local artisans working over two-years using traditional building methods and reclaimed materials. The project combines local craft with contemporary concepts of space and light which nod to Wilbert’s work in fashion and interior design, with the end aesthetic best labeled rustic modernism. The overall hotel philosophy is something of the reverse of globalism, but instead a celebration of all things native, an ideal Wilbert Das refers to as localism. Copyright © 2019 Alice Marshall Public Relations. All Rights Reserved.